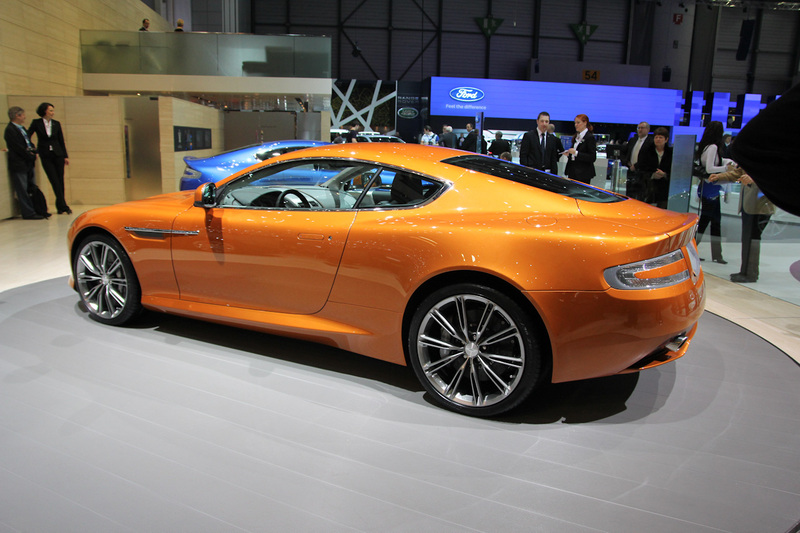 Η Aston Martin αναβίωσε το όνομα Virage και το παρουσίασε στη Γενεύη. Εκεί βρέθηκε μόνο η κλειστή Coupe έκδοση που μαζί με την ανοικτή Volante διαθέτουν την VH αρχιτεκτονική της αυτοκινητοβιομηχανίας και τοποθετούνται ανάμεσα στην DB9 και DBS. 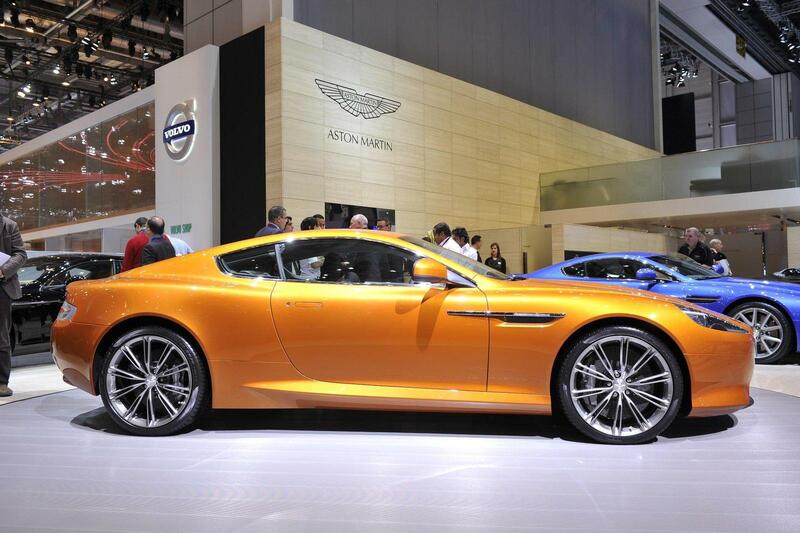 Το νέο Αγγλικό supercar διαθέτει ένα συνθετικό αλουμινένιο πλαίσιο που αποτελείται από αλουμίνιο και μαγνήσιο και φορά τον V12 6.0 λίτρων της εταιρίας που εδώ αποδίδει 497 άλογα με 570 Nm ροπής. Η κίνηση μεταφέρεται στον πίσω άξονα μέσω ενός 6-τάχυτου αυτόματου κιβωτίου “Touchtronic 2” με τα 0-100 χλμ/ώρα να έρχονται σε 4.6 δευτερόλεπτα ενώ η τελική της ταχύτητα φτάνει έως τα 299 χλμ/ώρα. Η ανάρτηση του αποτελείται από διπλά ψαλίδια μπροστά πίσω με το Adaptive Damping System (ADS), το Dynamic Stability Control (DSC) καθώς και τα κεραμικά φρένα Carbon Ceramic Matrix (CCM) με 6πίστονες δαγκάνες μπροστά και 4πίστονες πίσω, να βρίσκονται στον στάνταρ εξοπλισμό. Εξωτερικά διαθέτει αλουμινένια γρίλια εμπνευσμένη από την One-77, νέους προφυλακτήρες, LED ενδείξεις αλλαγής πορείας στα φτερά και ζάντες διαστάσεων 20″ με ελαστικά Pirelli P Zero. Στο εσωτερικό ξεχωρίζουν τα δερμάτινα καθίσματα, τα γυαλιστερά διακοσμητικά και το σύστημα Aston Martin Premium Audio απόδοσης 700W που διαθέτει Dolby Pro Logic II, σύστημα πλοήγησης, Bluetoth και σύνδεση με iPod. 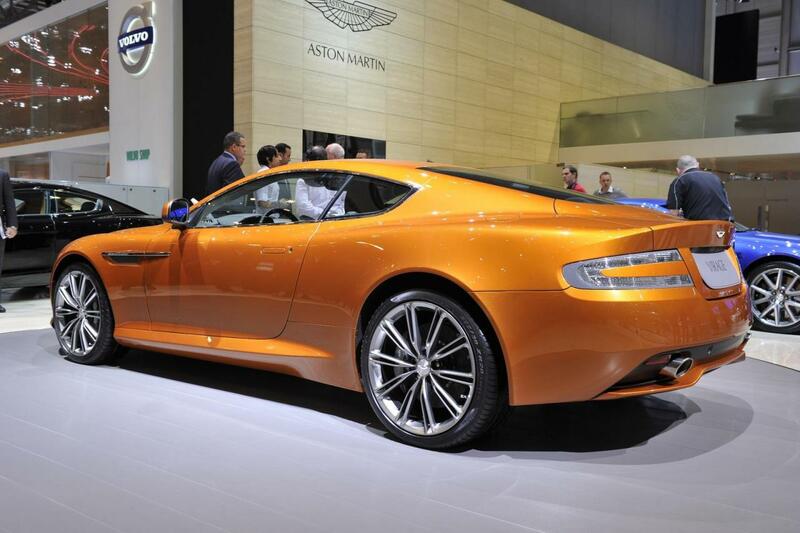 Η Aston Martin δεν ανακοίνωσε την τιμή τους αφού αυτή θα ανακοινωθεί λογικά στη Γενεύη με τις πωλήσεις να ξεκινούν μέσα στο 2011. Πρώτες φωτογραφίες και δελτίο τύπου στη συνέχεια. Gaydon, 23 February 2011. 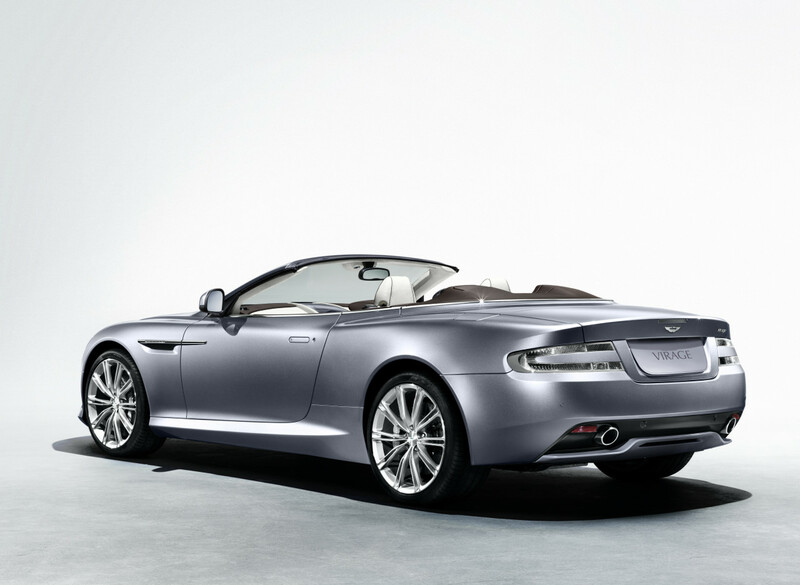 Aston Martin introduces the new Virage – supremely elegant and powerful, yet juxtaposed as an understated sports car. 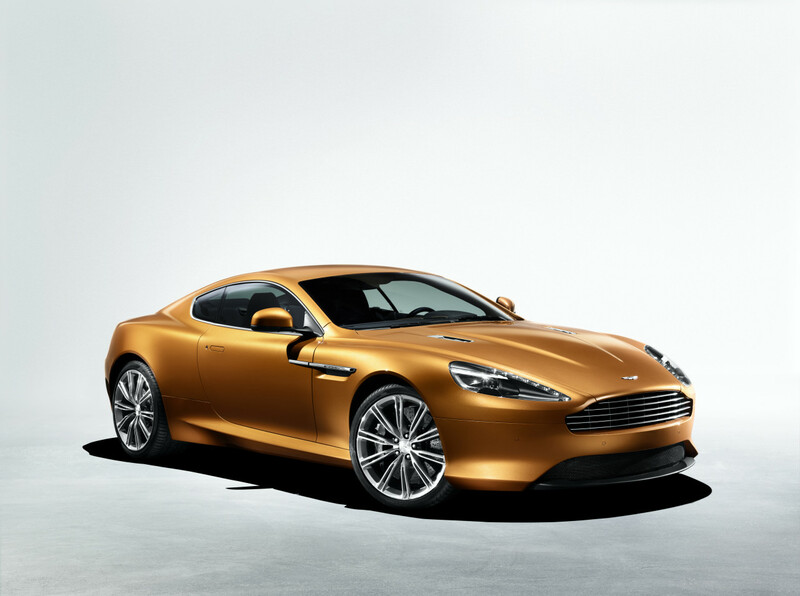 The marque can now provide customers with a class-leading range, all with different characters, yet with the same unique Aston Martin soul and luxury. 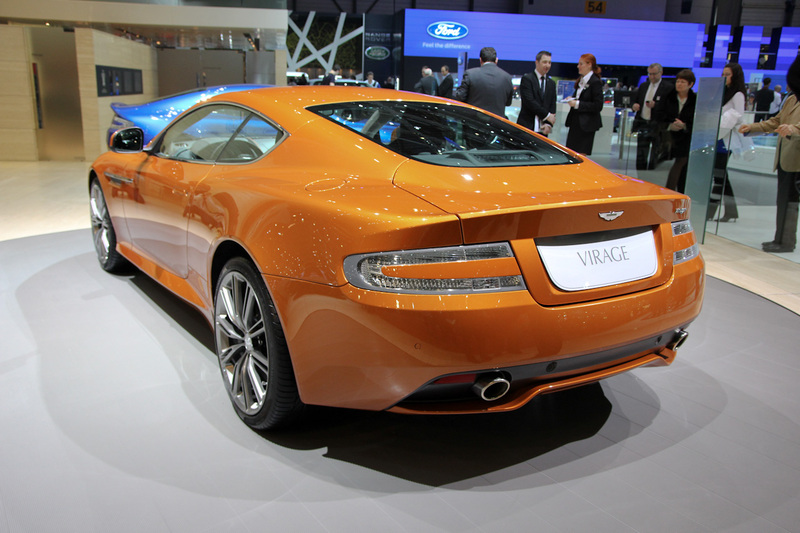 bend, turn, curve change, shift (in orientation) Aston Martin’s use of nomenclature beginning with a ‘V’ dates back to the optional ‘Vantage’ engine on the 1950s DB2. So when the DP2034 (an internal design project number) had to be found a name in 1985, the hunt began for an evocative word to carry on this tradition. 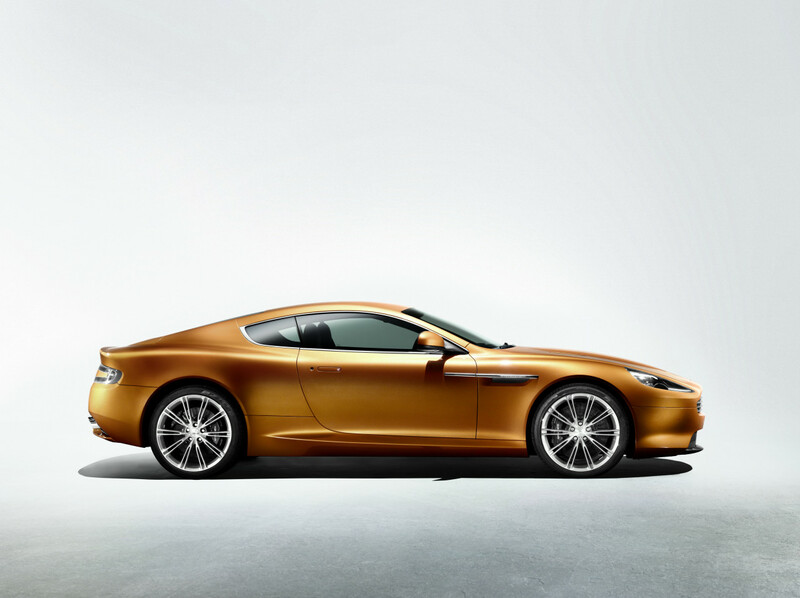 The call went out to the factory’s craftsmen, its customers and to the Aston Martin Owners Club, ending in the collation of hundreds of suggestions. 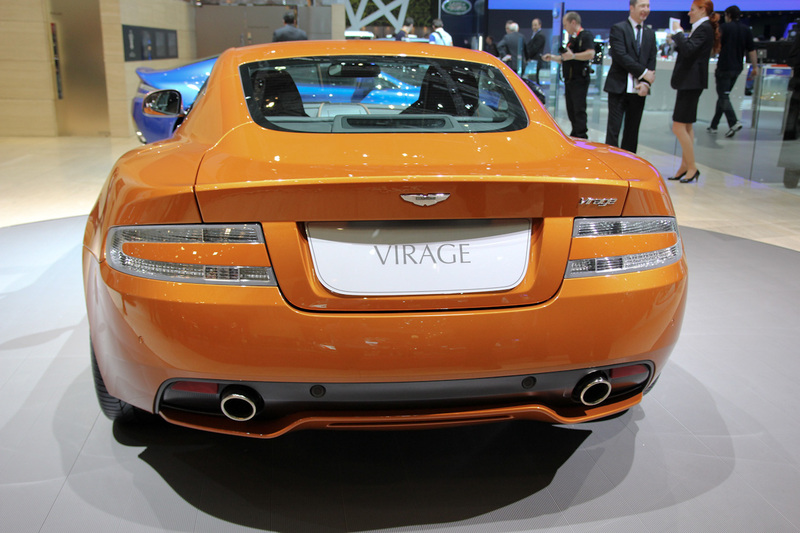 Eventually the then Chairman, Victor Gauntlett, and his Directors chose Virage to be the moniker of an all new car destined to open a new chapter in the company’s history. 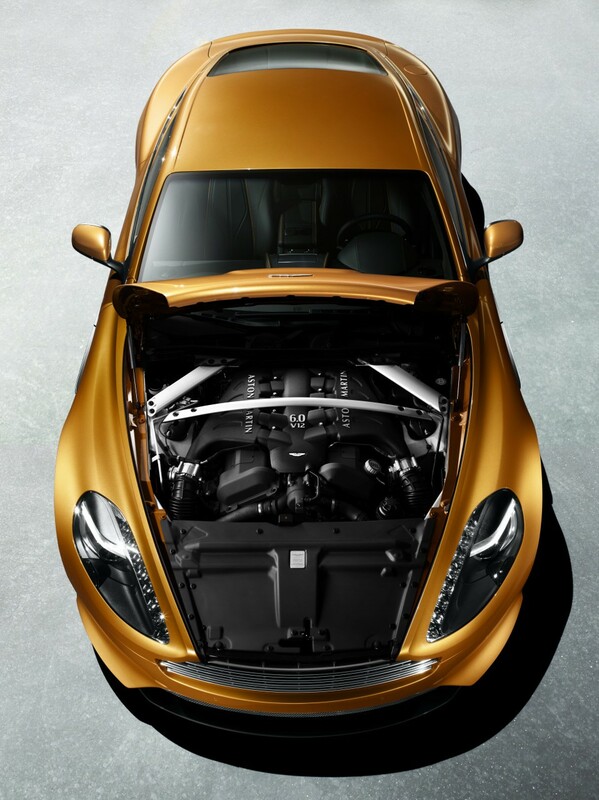 Sitting at the heart of any Aston Martin sports car is an evocative engine and no more so in the new Virage which adopts the famous hand-built 6.0 litre V12 which is assembled in Aston Martin’s bespoke engine plant in Köln, Germany. 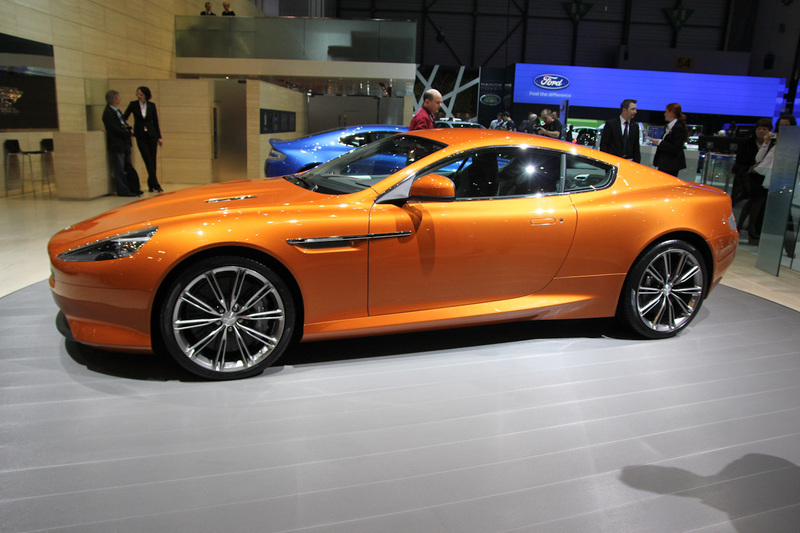 Aston Martin technicians spend in excess of 20 hours building and testing every engine before sending it to Gaydon where it is mounted as far back in the Virage as possible to contribute to its perfect 50:50 weight balance. 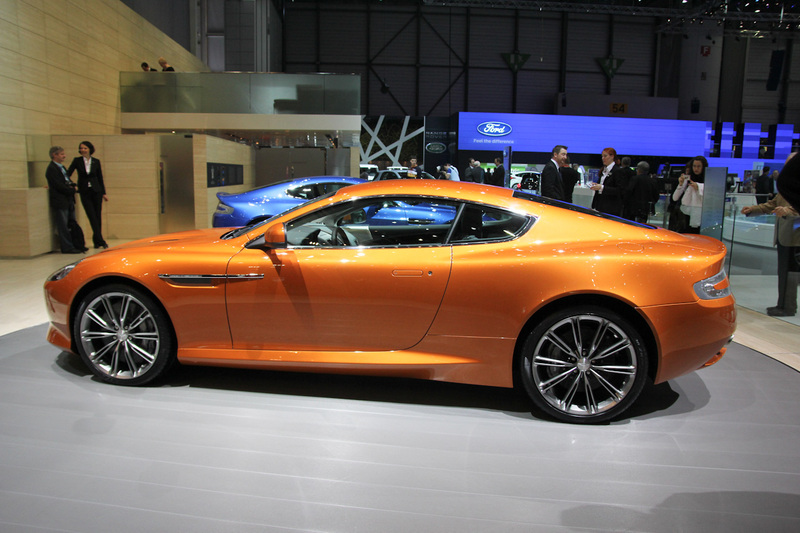 The Virage engine produces 490 bhp (365 kW/497 PS) and 570 nM (420 lb. 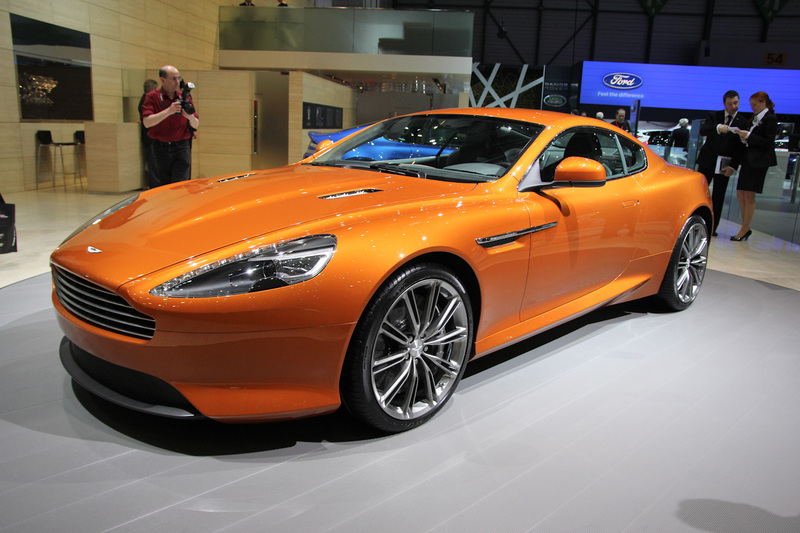 Ft) of torque and is identified from other V12s in the family with a black plenum. The plenum houses a new ‘five pillar design’ increasing the rigidity of the manifold delivering an improved sound quality. 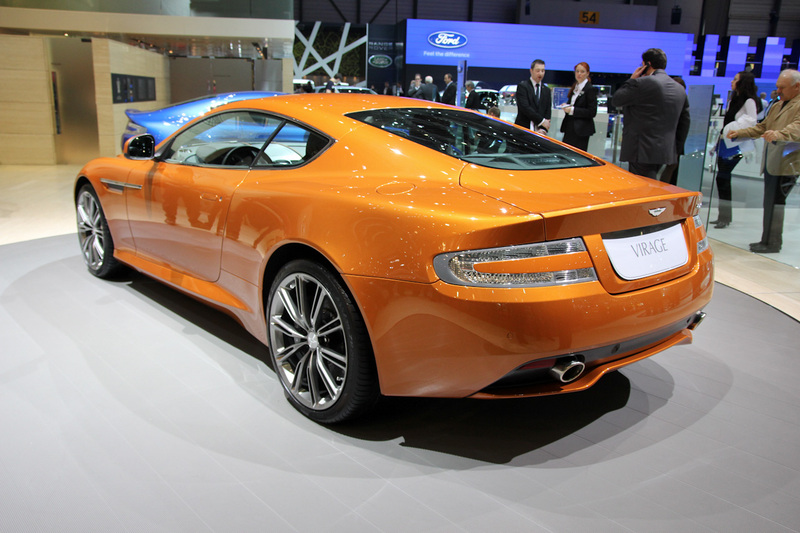 The V12 has been designed to deliver over 85% of Virage’s peak torque at only 1,500 rpm providing for instant and crucially, real-world useable traction. 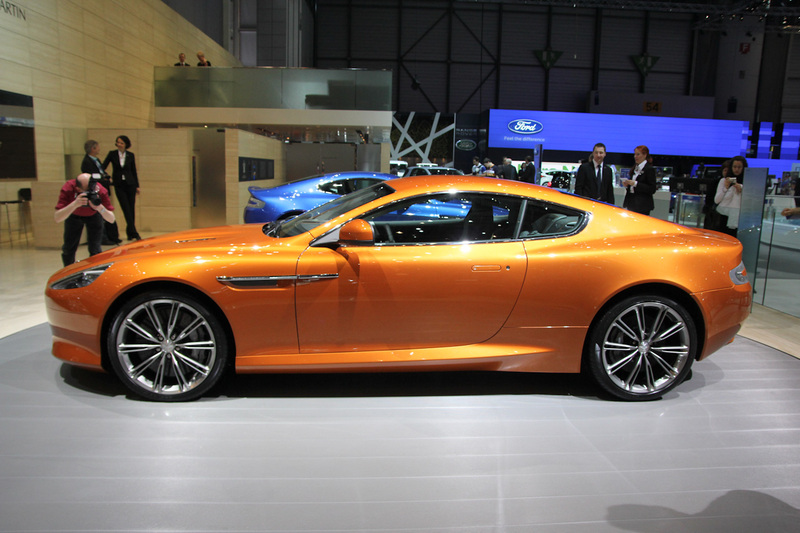 The Touchtronic II transmission features as standard, and contributes to Virage’s refined power delivery making gear changes tangible yet effortless. 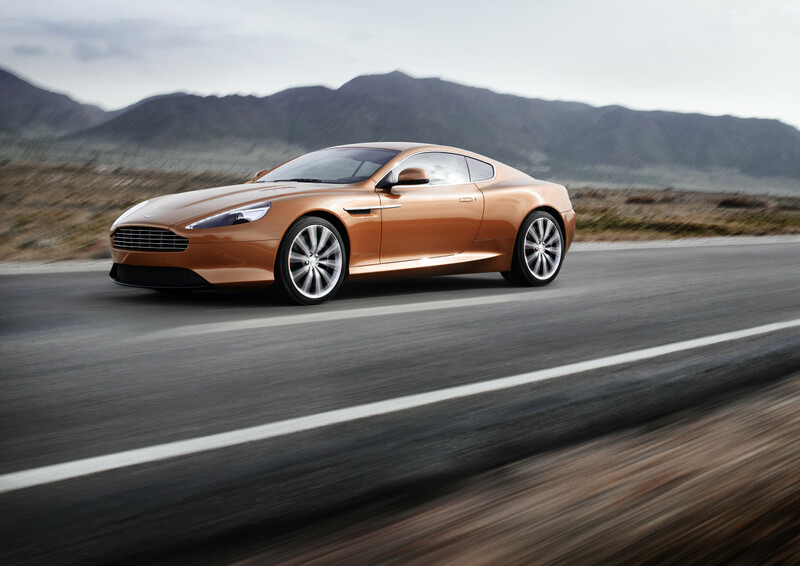 Engineered in conjunction with ZF, the six-speed automatic has optimally placed ratios to remain quiet on motorway stretches and deliver an engaging response when driving spiritedly. 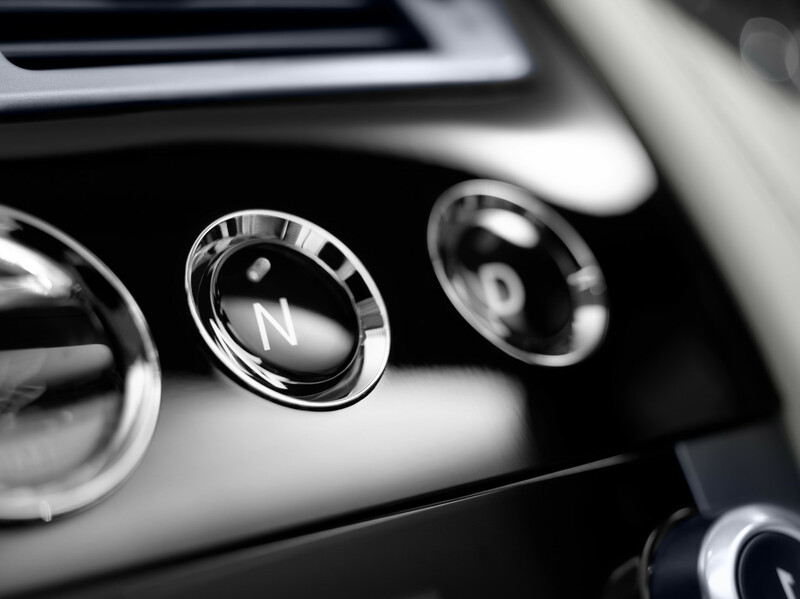 Controlled through finely polished glass switches depicting P, R, N, D on the facia, the driver can engage automatic mode, and the intelligent control system will decide precisely the right time to change gear in order to achieve the smoothest ratio move and the optimum fuel economy. 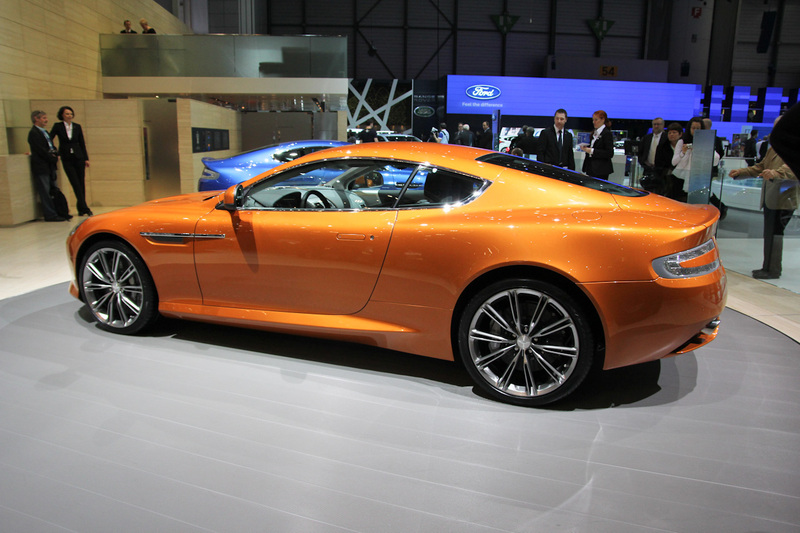 In addition, the driver has the option of pulling either of the magnesium leather clad paddles to engage manual mode. Mounted on the steering column so that the driver can always easily locate either up or down, the manual mode gives the driver complete control. 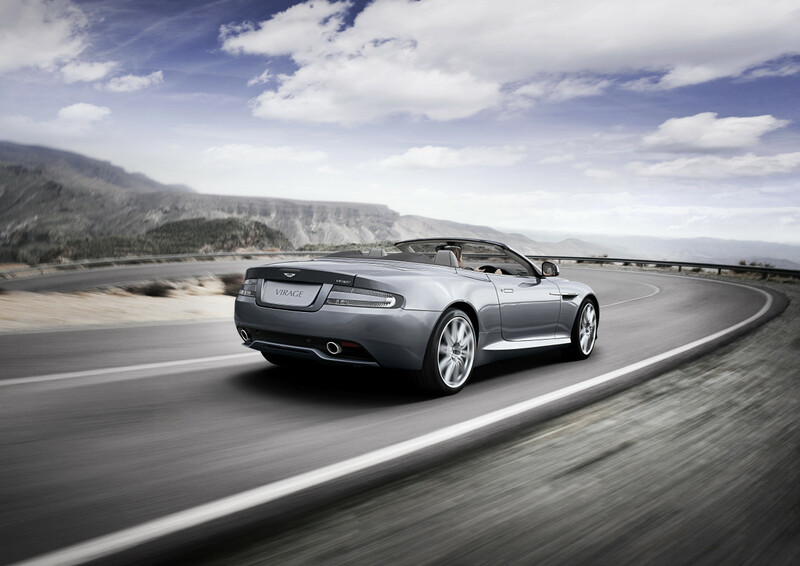 Virage features a Sport button on the facia which when depressed will create a heightened driving experience through faster gear changes and the system will override the automatic change-up so the driver is able to hold the gear on the revolution limiter. 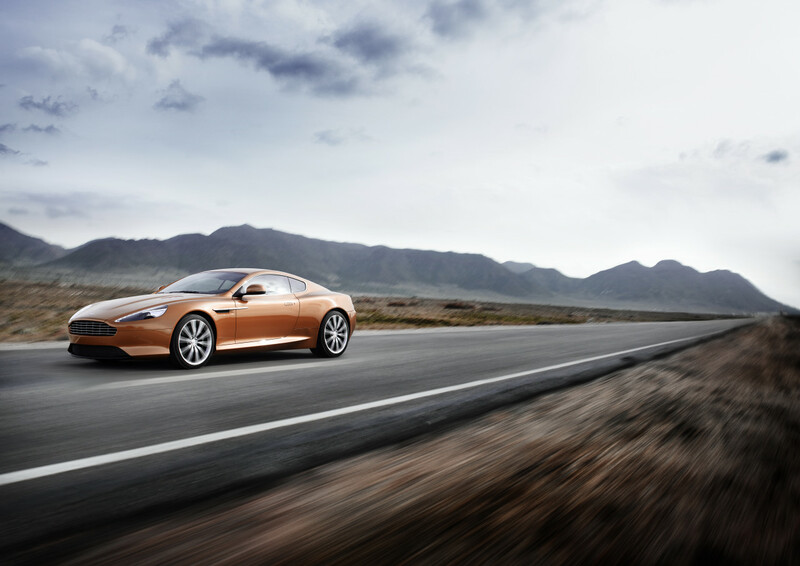 The new Virage features a new Adaptive Damping System (ADS) which has been tuned to suit the particular character of Aston Martin’s latest sporting GT. Each damper has five individual computer controlled stiffness settings. 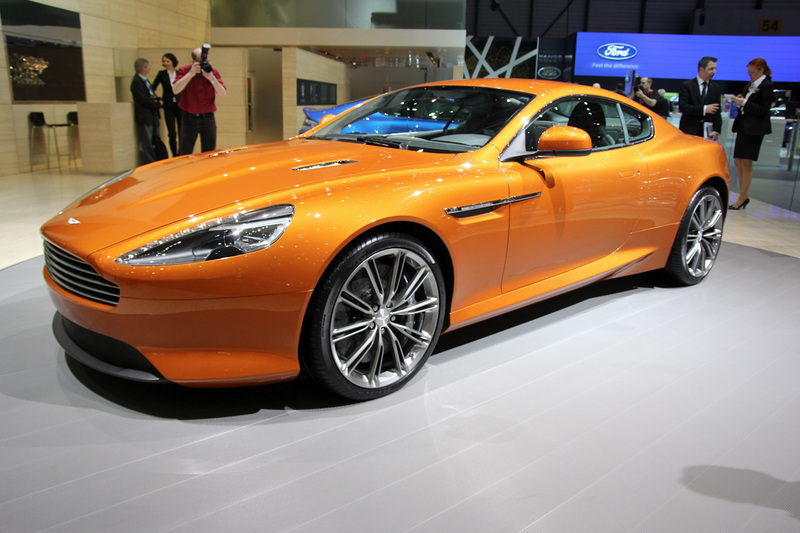 This allows the Virage to ‘read’ the road via strategically placed sensors around the car, constantly adjusting the ride at each corner. 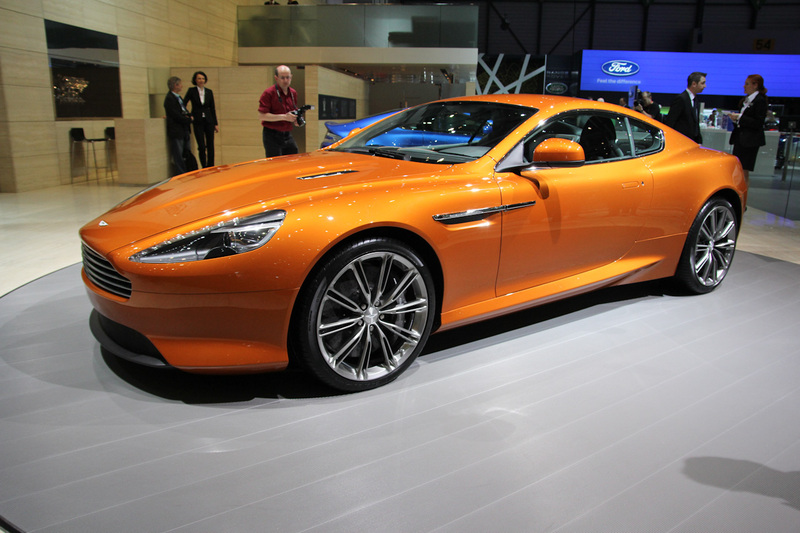 Using yaw, accelerometer, steering wheel, throttle and brake (ABS) sensors, the intelligent system can take into account the demands the driver is making of the car at any given time. 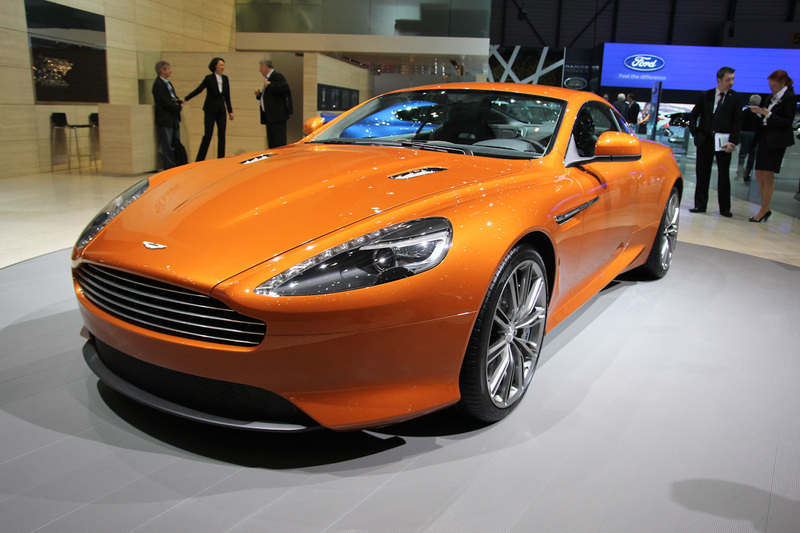 The Adaptive Damping Electronic Control Unit (ECU) uses these measurements to determine the most appropriate damper settings required at any given time, becoming stiffer for better handling and control during dynamic driving, and becoming softer for greater ride comfort during ‘normal’ driving conditions. Increasing driver control further, the glass ADS button on the facia allows the driver to override the system to push the dampers into a firmer range of settings. 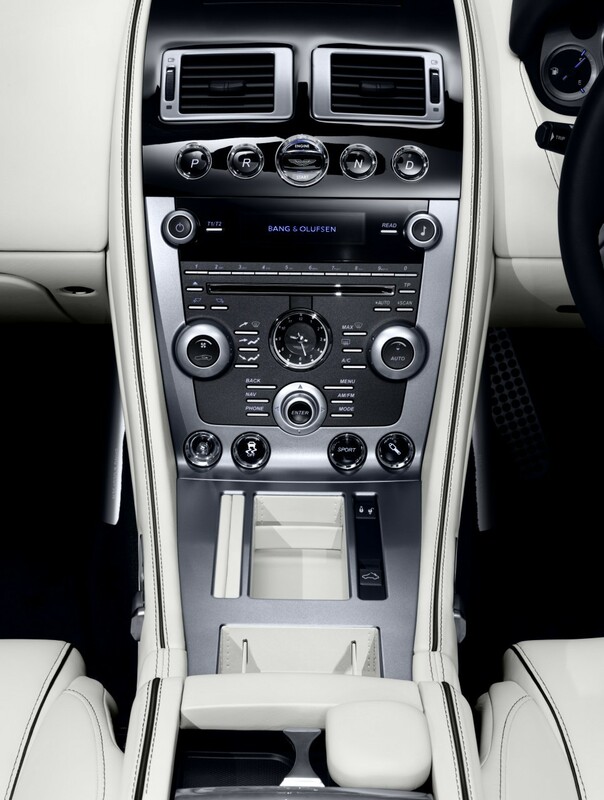 As the button is depressed, for the initial five seconds, all damper settings are set to their firmest providing the driver a tangible difference. 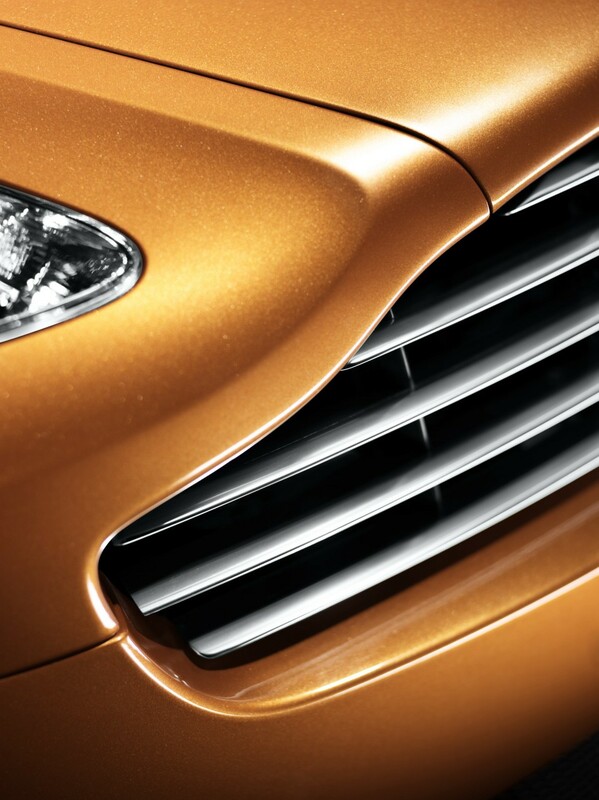 After five seconds the system reverts to the optimum setting within the firmer range resulting in a more focussed but comfortable driving experience. 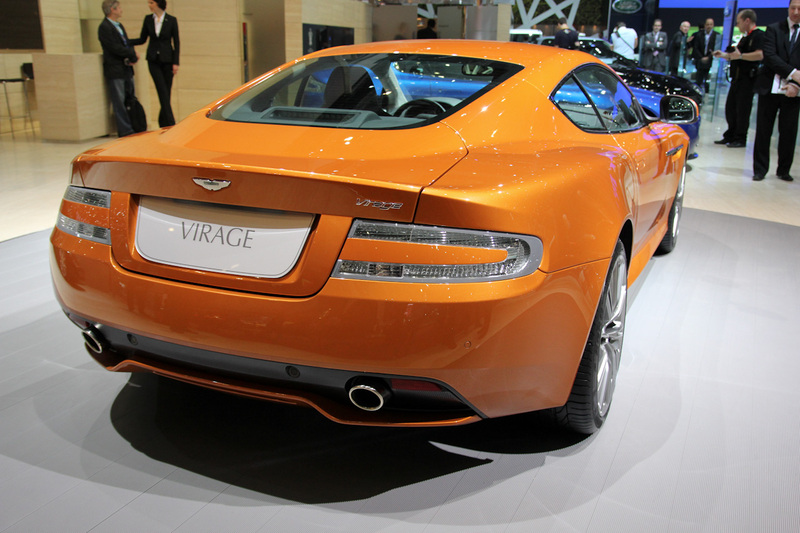 Virage is delivered to customers with Carbon Ceramic Matrix (CCM) brakes as standard – bucking the trend in this market. 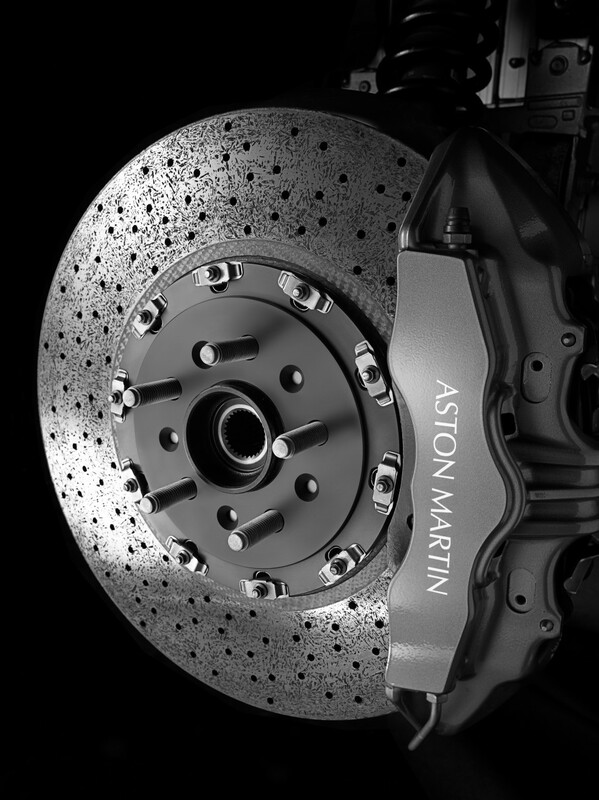 Critically acclaimed to provide the ultimate in progressive stopping power, the CCM discs take advantage of six piston callipers at the front and four at the rear. Giving the driver tangible control when braking, they are much more resistant to fade than conventional cast iron discs and at 12.5 kg lighter than a conventional system they contribute to a lower unsprung mass aiding ride comfort and handling. 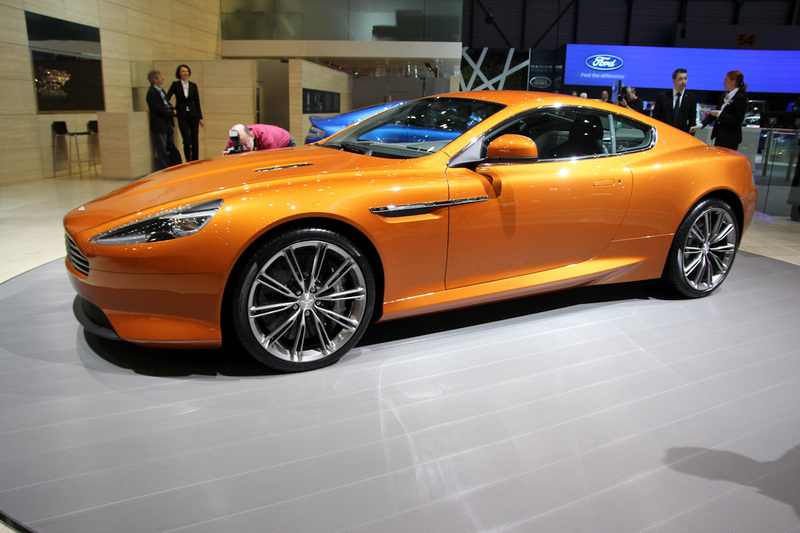 The Dynamic Stability Control (DSC) system has been specifically tuned for the Virage. A three-stage DSC system allows the driver to tailor the level of electronic intervention according to the type of driving. 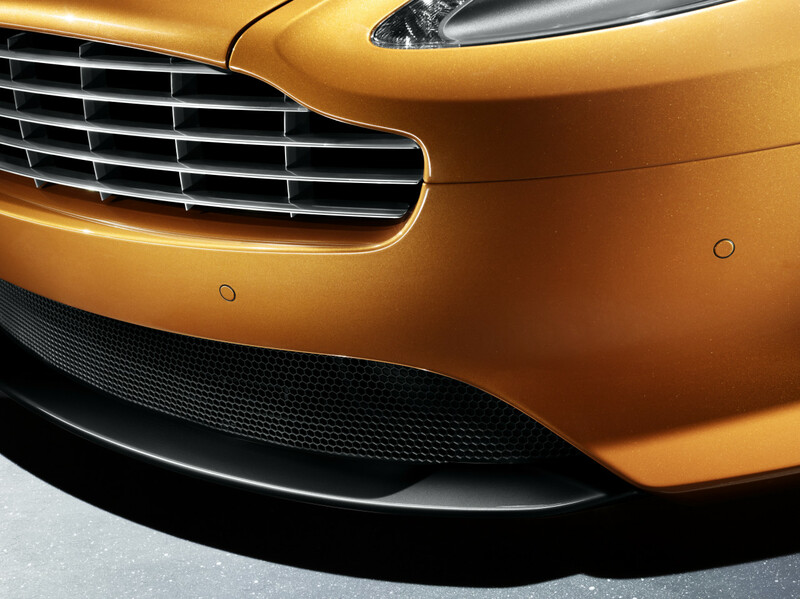 In default mode, the system is set to ‘on’ which will limit any tyre slip in difficult conditions, and provide the maximum amount of security possible without being intrusive. Holding the DSC button for four seconds will engage ‘Track Mode’ which delays the electronic intervention further, creating a safe yet purer experience. Depressing the button for a further five seconds will disengage the system completely. 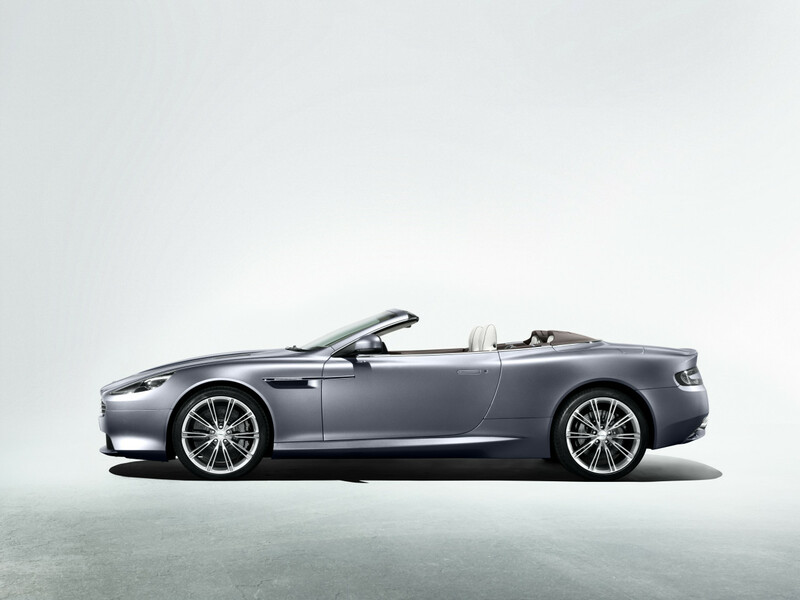 Using knowledge learned from the V8 Vantage Roadster and DBS Volante, the new Virage Volante features a solidly-mounted rear subframe as well as front and rear shear panels which deliver high levels of rigidity. 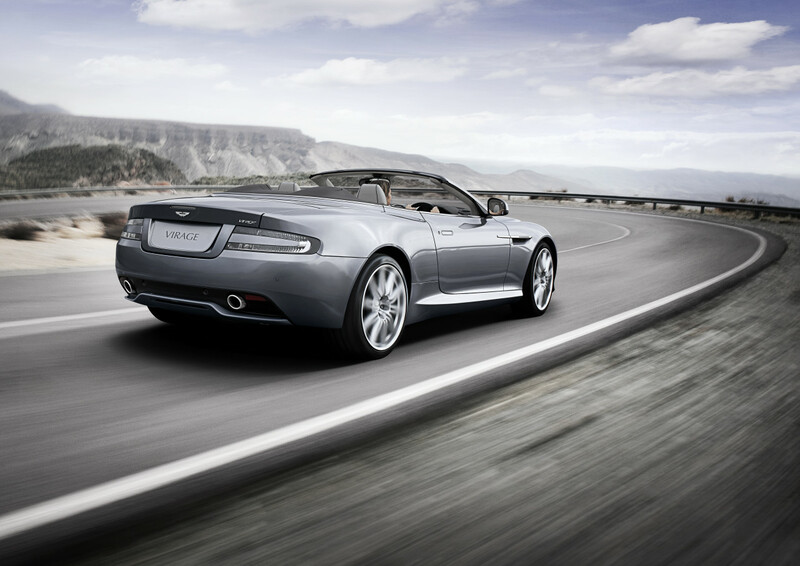 This means that the Virage Volante retains its sporting dynamic characteristics, uncompromised by the open roof. 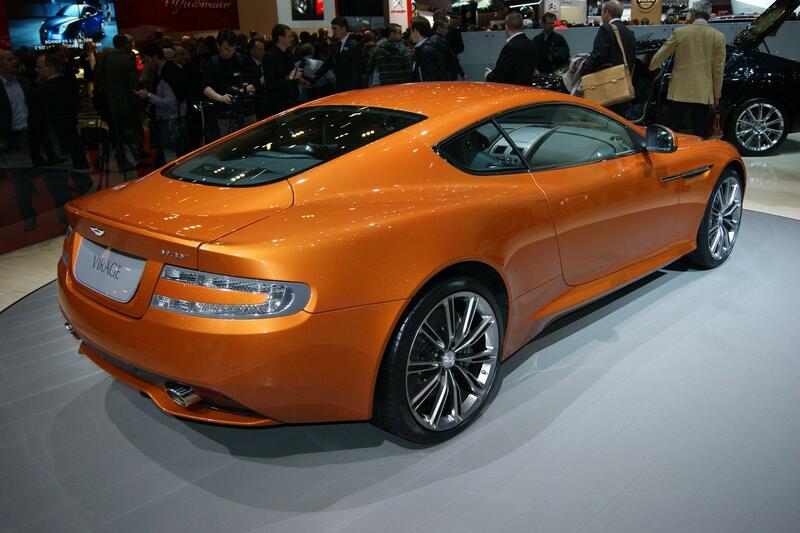 For the first time on an Aston Martin the Virage coupe also uses a shear panel at the rear of the car, again to enhance strength and rigidity. 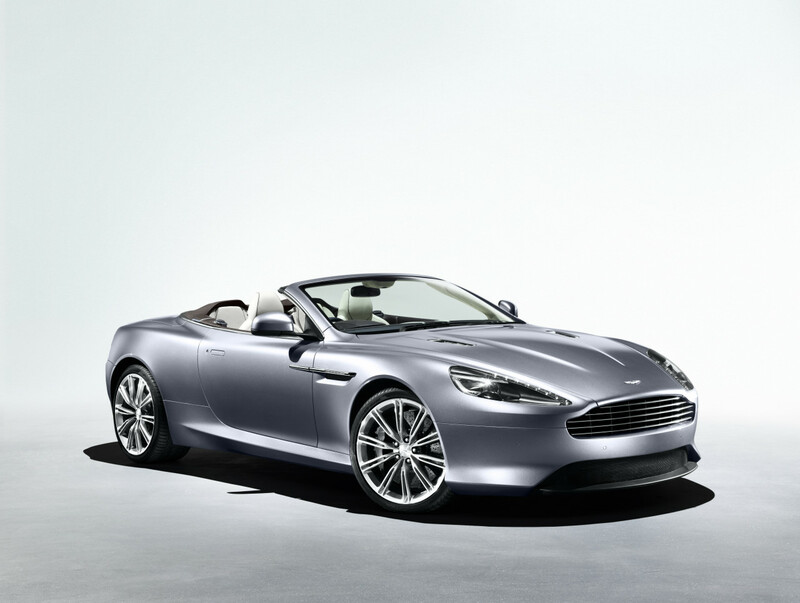 The fully integrated Aston Martin standard satellite navigation system has been completely revised for the Virage benefiting from a new system developed in conjunction with Garmin which is operated using the existing joystick and facia buttons. Features include clearer graphics, improved pictorial junction views and safety camera data. 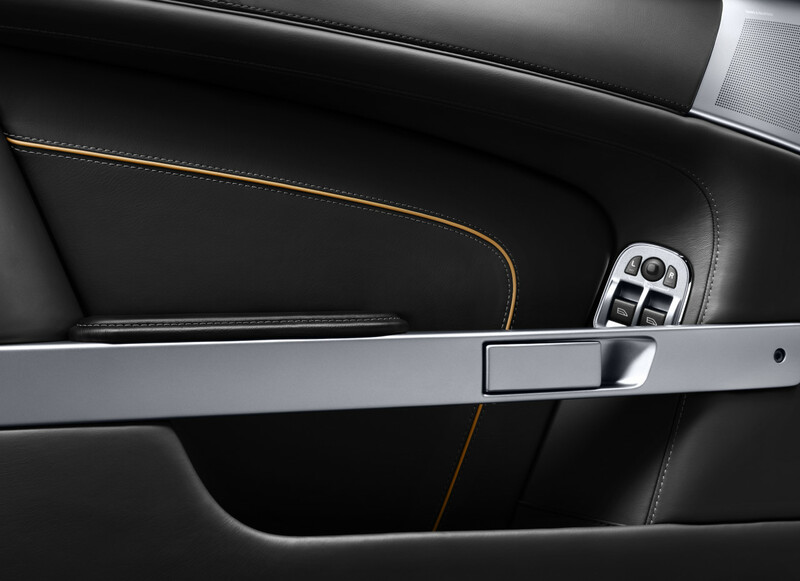 The new system maintains its integrated look, out of view beneath the real wood facia, rising seamlessly from the centre console at the touch of a button. Control through the aluminium four-way joystick prevents unattractive finger marks on the screen which impede clear vision. 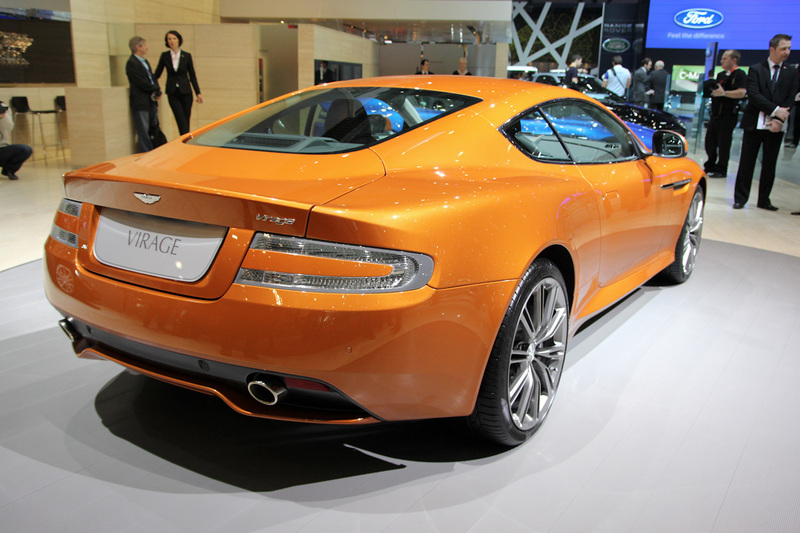 The new Virage was designed at Aston Martin’s dedicated design studio at its global headquarters in Gaydon, Warwickshire, England. 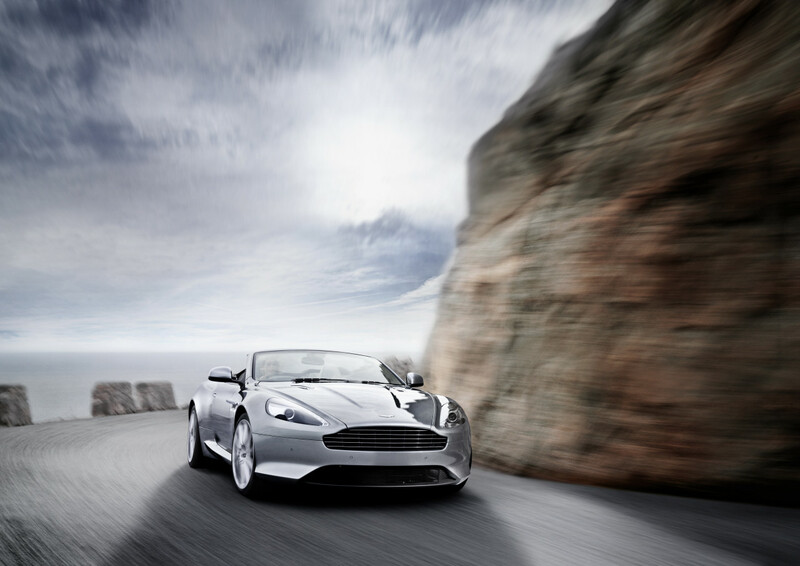 As an independent company, Aston Martin can take an initial sketch, through to a full size clay model, then to a prototype and ultimately into production all on one site. 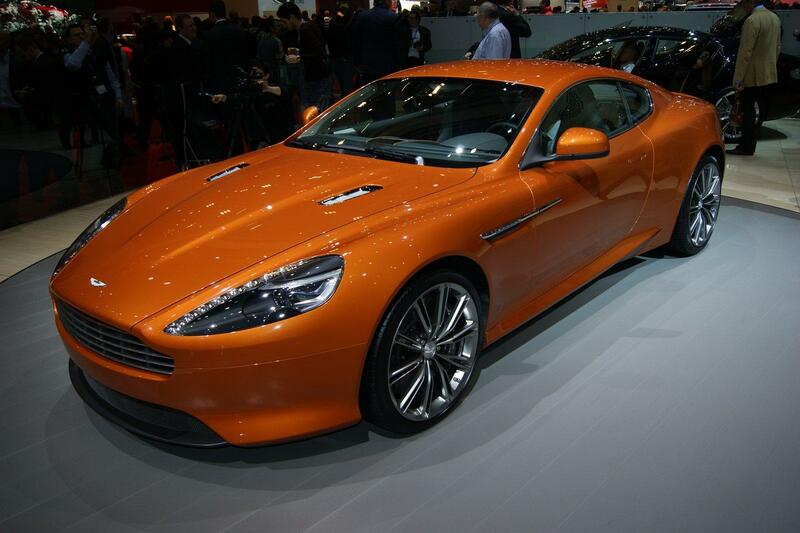 It allows the marque to be agile and reactive customer trends and demands. 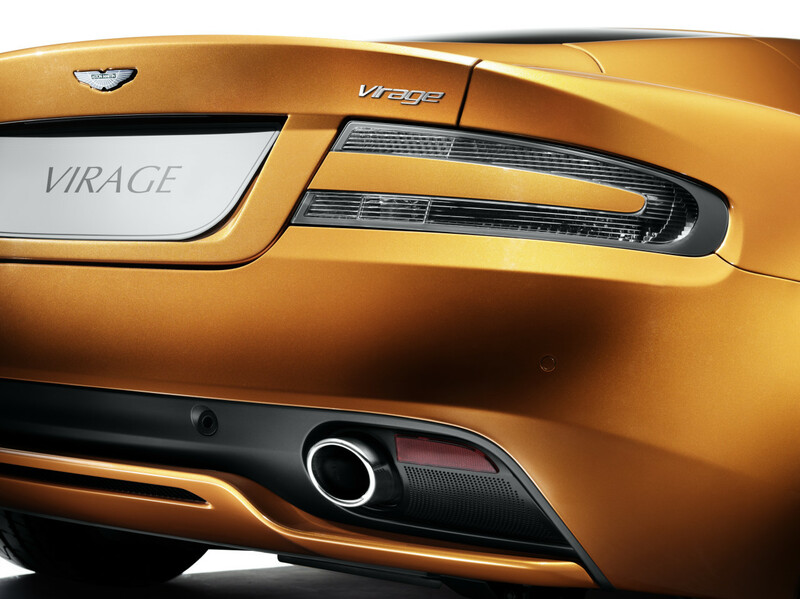 Virage will be built in the same production facility as the DBS and DB9 and will be Aston Martin’s tenth major new model to go into production at the UK site since Gaydon was opened. 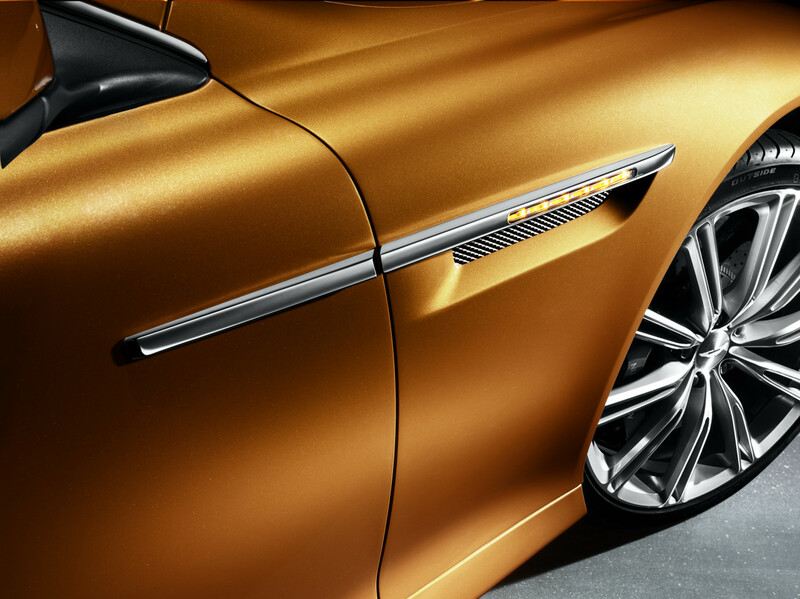 Reichman continues: “The Virage will always delight, from picking up the glass and polished aluminium ECU key, walking up and admiring its stunning form, and tacitly appreciating the treatment of all the other senses through the finish of the materials. 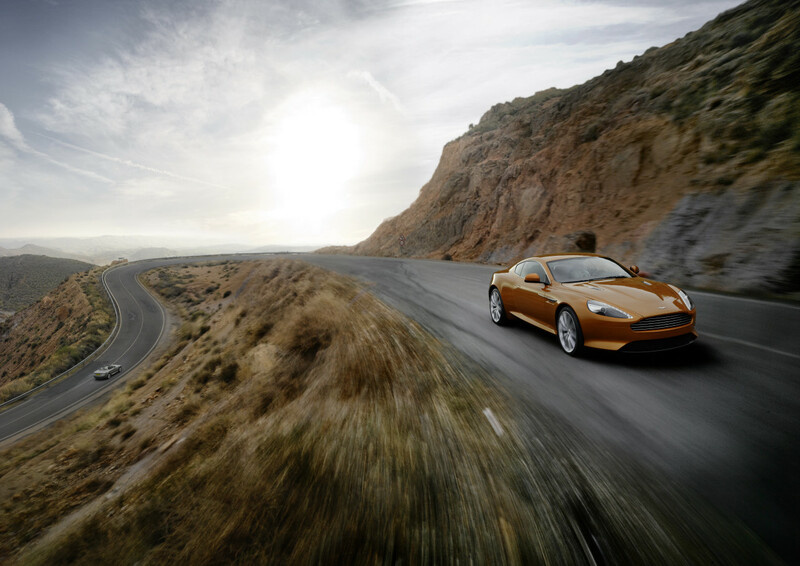 It makes every journey an event. 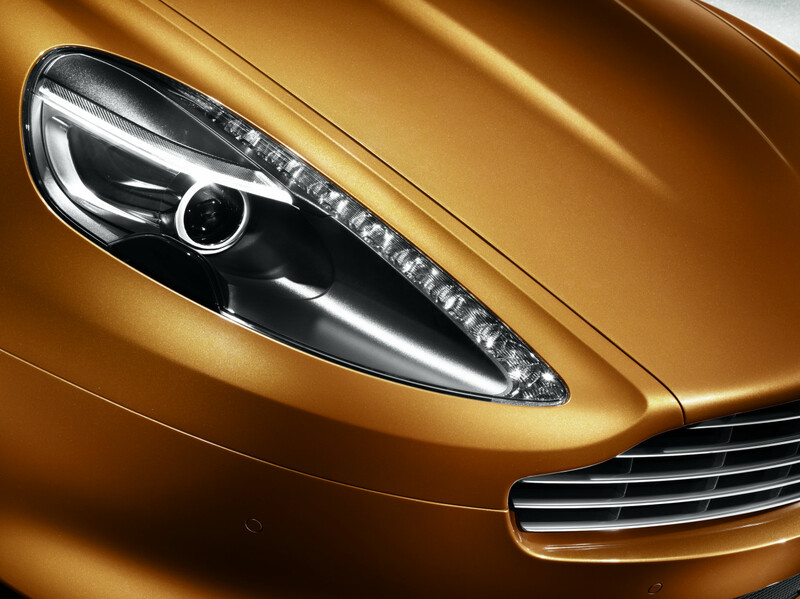 New single lens bi-xenon lights lie beneath a new front headlamp which houses a side light ‘bar’ dissipating LED light giving the Virage an individual yet subtle visual on the road. 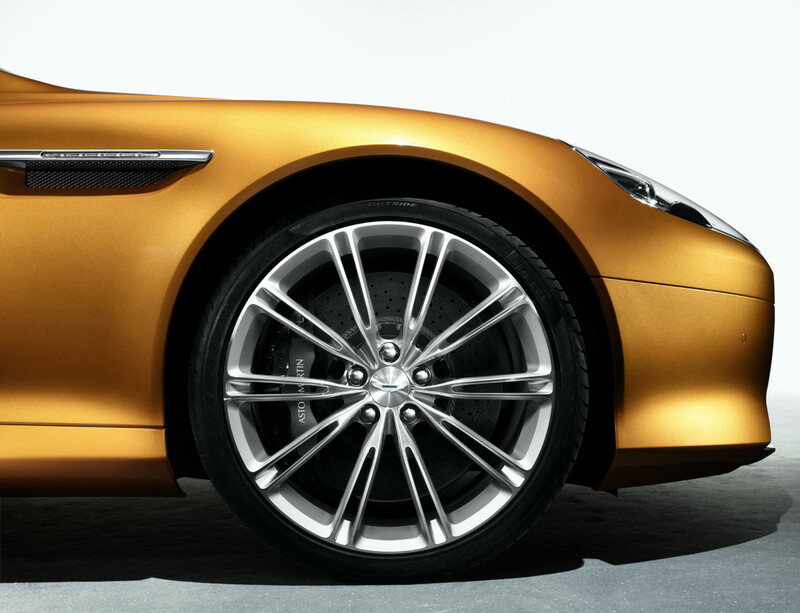 New 20″ wheels add to the sense of proportion with a five spoke twin-prong design as standard and a 10-spoke forged diamond turned wheel as an option. Customers are also afforded the option of coordinating their brake callipers with their exterior paint colour with black, grey, red and yellow now being offered. 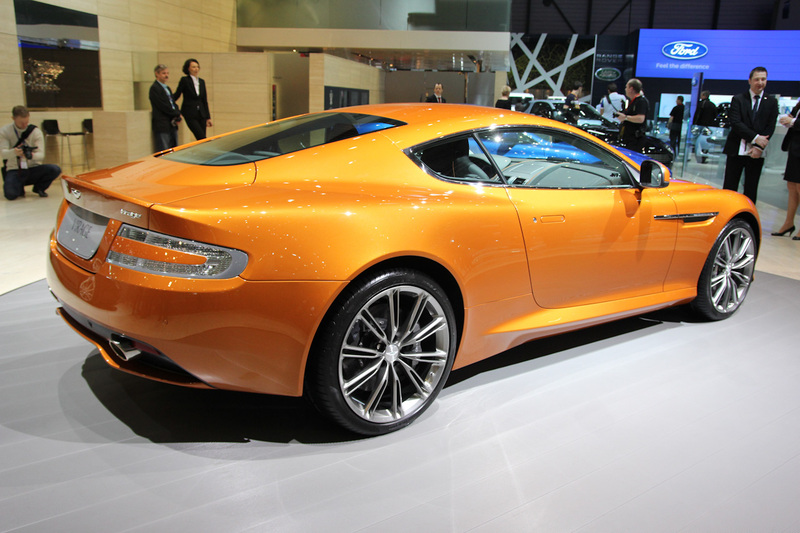 The Aston Martin engineering team sought to create a sports car that offers customers the highest levels of refinement yet combined with the increased power and control desired by customers. To this ends extra sound insulation has been applied to the front and rear bulkheads to create a relaxed ambiance when cruising. 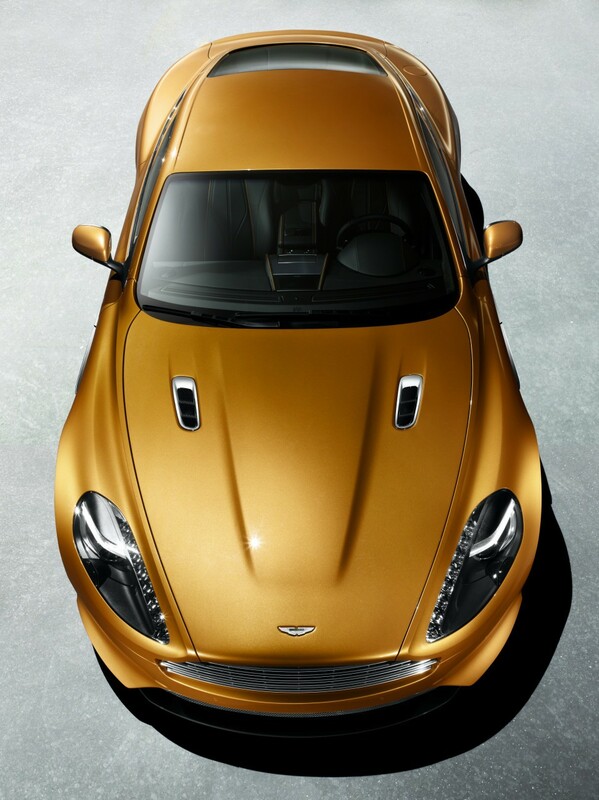 The Virage Volante features an extra layer of ThinsulateTM material in the fabric hood making the Volante feel like a coupe when the hood is up. 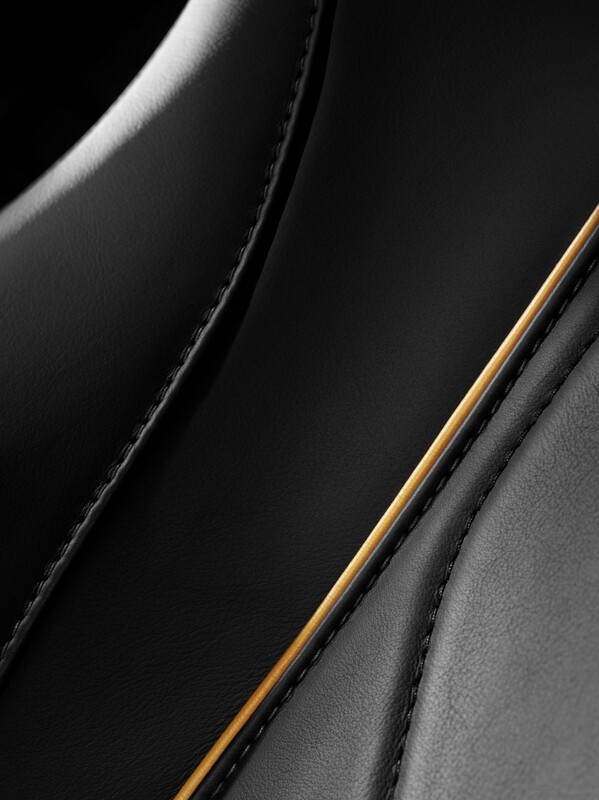 Each Virage features seven hides of the finest leather sourced from Scandinavia with each interior taking in excess of 70 man hours to hand craft. 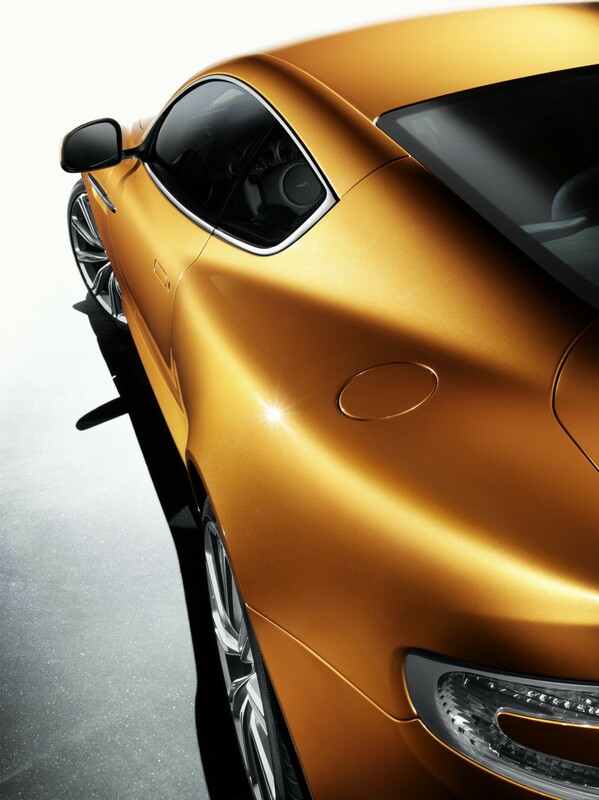 It is this attention to detail which creates one of the finest and opulent moving interiors in existence today. 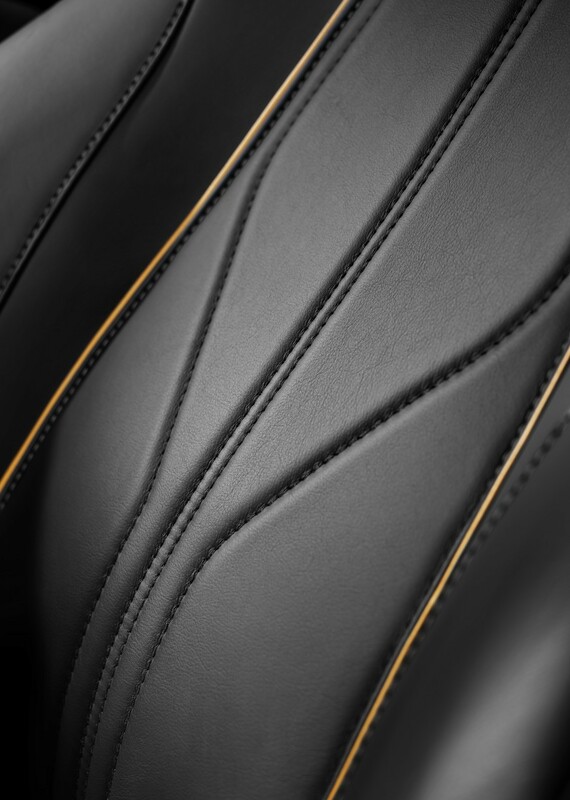 As the driver or passenger opens the swan wing doors – which open up and out at 12 degrees to prevent any scrapes on nearby kerbs – they are greeted to pinstriped leather seams which are hand stitched by one seamstress just to be sure of a consistency throughout the car. 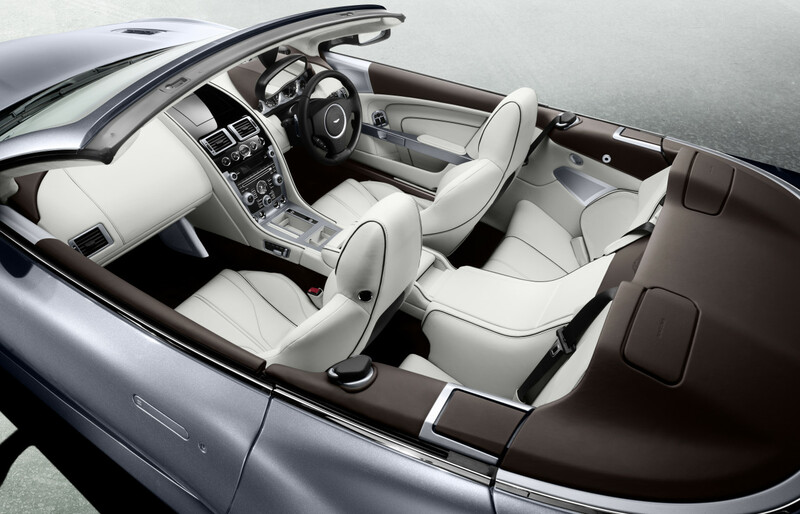 The 10-way adjustable sports seats are sculpted to provide maximum support and comfort while the two-stage heated seats instantly shake the chill on a frosty morning. 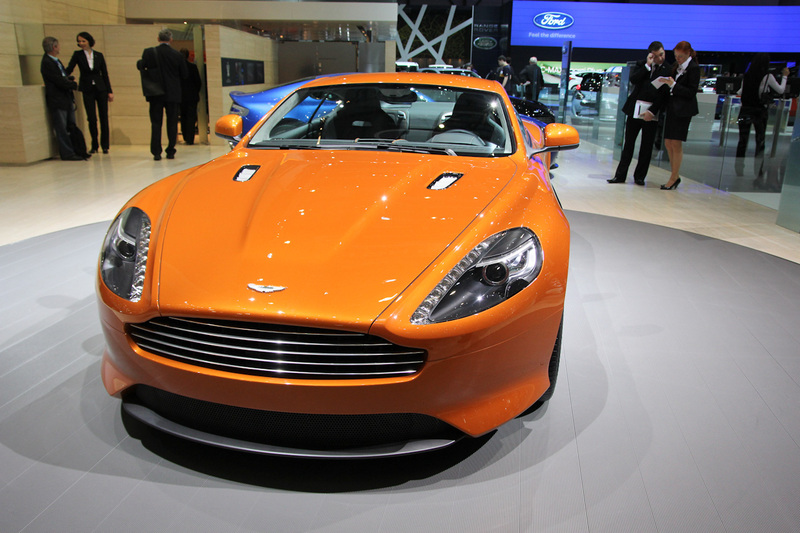 The option of an alternative lightweight seat arrangement is available with the 2+0 layout on the coupe. 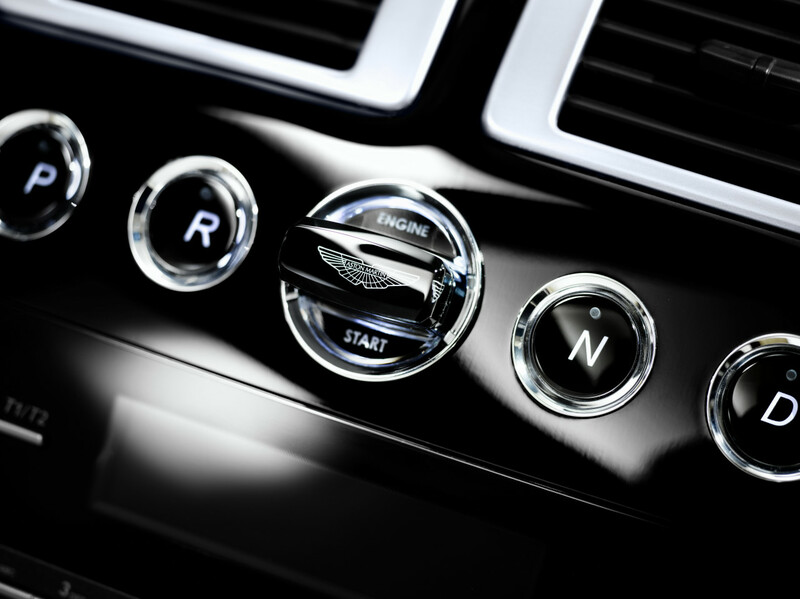 Contributing to the feeling of luxury, finely polished glass buttons adorn the facia inviting the driver to select their desired setup or control. 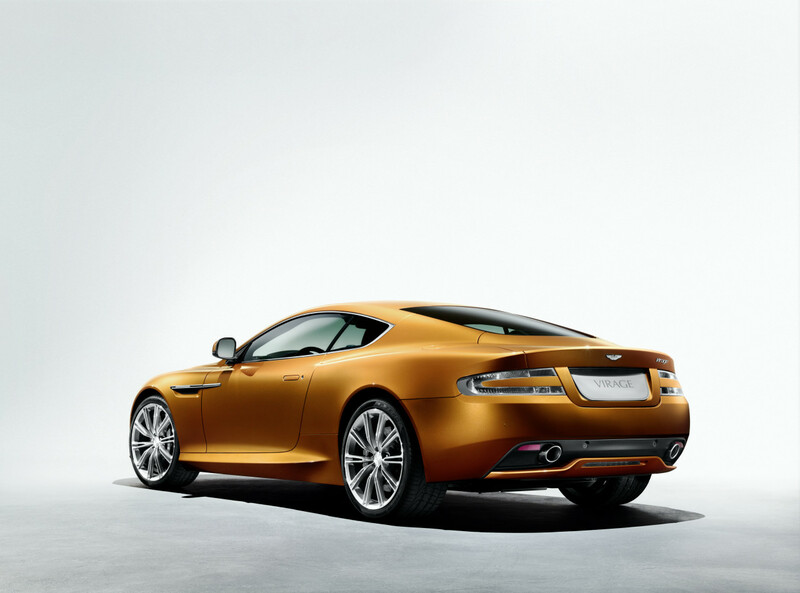 Aston Martin’s design team have stayed true to the ethos of using material honestly where facias are real hand finished and polished woods, dials are milled aluminium, and leathers retain their patina and aroma years into their life.